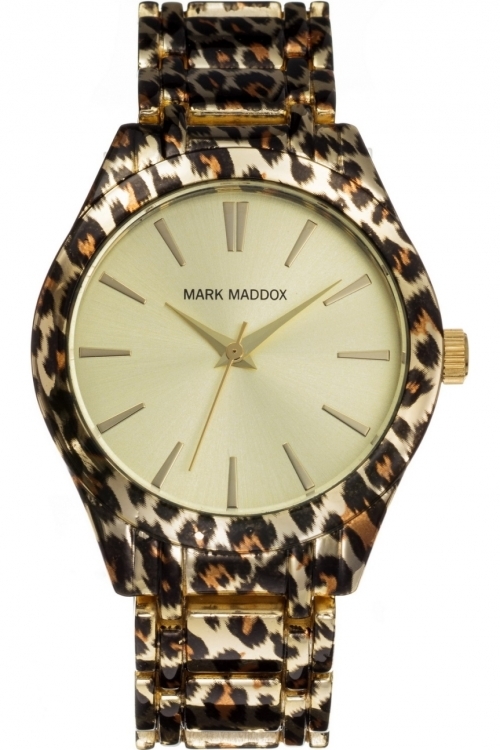 This ladies Mark Maddox Animal Print watch is made from PVD gold plated and is fitted with a quartz movement. It is fastened with a multicolour metal bracelet and has a gold dial. This stunning ladies Mark Maddox Aviator watch has a PVD rose plating case and is fitted with a quartz movement. 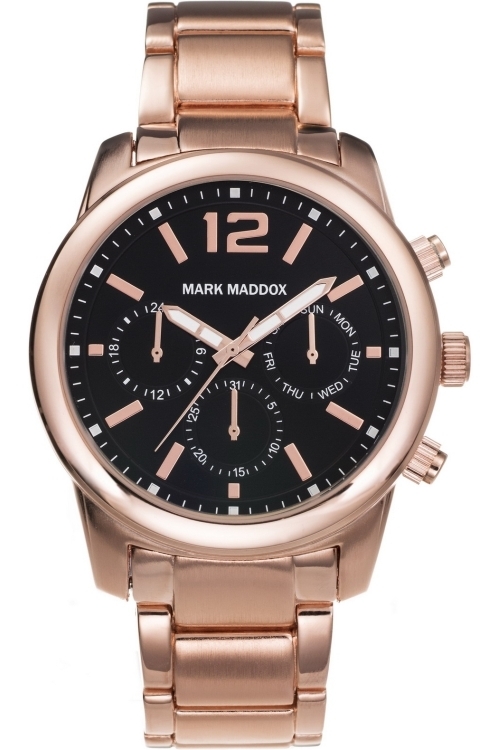 It is fitted with a rose metal bracelet and has a black dial. The watch has a date function. 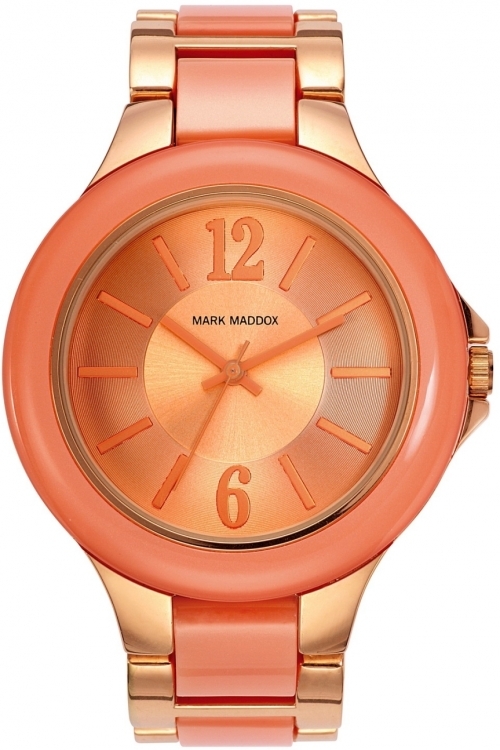 This ladies Mark Maddox Colour Time watch is made from PVD rose plating and is powered by a quartz movement. It is fastened with a orange plastic/resin strap and has a orange dial. 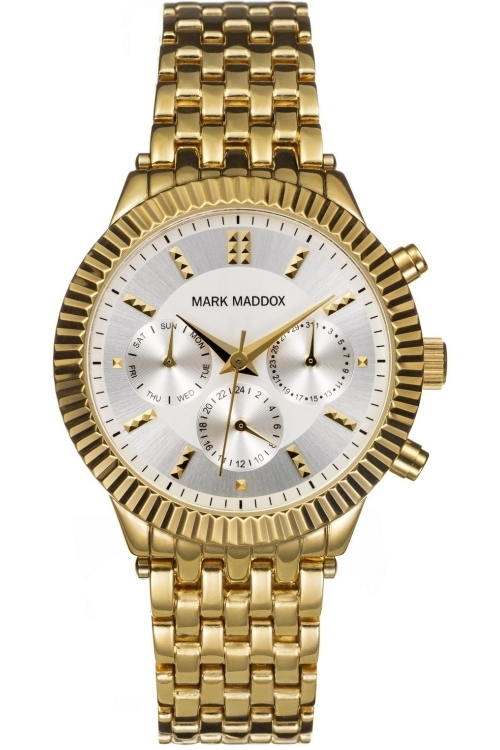 This stunning ladies Mark Maddox Golden Chic watch is made from PVD gold plated and is powered by a quartz movement. It is fitted with a gold tone metal bracelet and has a silver dial. The watch has a date function.